Dr Treisman was awarded a Winston Churchill Fellowship Travel Award which involved visited several places in the USA to further study whole system and organisational approaches to trauma-informed and trauma-responsive care. https://www.wcmt.org.uk/users/karentreisman2018 The report from this trip will be released in April 2019. Dr Treisman was also awarded the 2018 Psychology Professional of the Year Award for Excellence in Attachment and Trauma. The therapeutic treasure box is currently a number 1 bestseller on Amazon. You can also follow Dr Karen Treisman on Twitter, or join Safe Hands and Thinking Minds Facebook Group for daily trauma, parenting, and attachment-related news updates. April 23rd-24th- Hillingdon Virtual school and LA- Young people who who involved in gang-related and youth offending behaviour. April 25th- Lambeth Safeguarding board and LA- Relational and developmental trauma. May 7th- Keynote in St Albans on trauma-informed organisations. May 7th-8th-Trauma-informed organisations, Relational & developmental trauma. Glasgow- open event. May 13th-14th-Trauma-informed organisations, Relational & developmental trauma. Educational Psychologists. May 16th- Relational and developmental trauma- Dundee, Scotland. May 23rd-24th- Relational and developmental trauma and trauma-informed organisational change- Bristol LA. May 31st- Hounslow- relational and developmental trauma. June 10th-14th- Trauma-informed organisations, Relational & developmental trauma. Self-care- North Somerset. June 16th- Self-care event- London. Open event- details to follow. June 19th-20th-Relational & developmental trauma; & a therapeutic treasure box for working with trauma. Bristol LA. June 25th-27th- trauma-informed organisations- Ireland. No bookings end of July- early September- Touring Australia and New Zealand with Compass Seminars on a speaking engagement & book tour. For people in OZ and NZ, please check out compass seminars website for details. October 14th-18th- Three Steps, Navon, Ireland- Trauma-informed organisations, Relational & developmental trauma. November 1st-2nd-Relational & developmental trauma; & a therapeutic treasure box for working with trauma. BAAT. Edinburgh. Open event. November 8th-9th-Relational & developmental trauma; & a therapeutic treasure box for working with trauma. BAAT. London. Open event. December 19th- January 6th- no events- holiday. February 28th- Pause- Relational and developmental trauma. March 11th-12th- Trauma-informed organisations- One Small thing (OST)- Open event. March 19th-20th- Self-care for social work students- Norfolk. March 21st-22nd- Workshop on trauma-informed organisations- ESTD conference. Open conference. March 25th-27th-Trauma-informed organisations, Relational & developmental trauma- Warwickshire. March 28th- Therapeutic treasure box of tools- Essex LA. April 1st- Hounslow- relational and developmental trauma. April 3rd- Self-care for foster carers- Moon and back fostering- Cambridge- Open event. April 15th-18th- Three Steps, Navon, Ireland- Trauma-informed organisations, Relational & developmental trauma. No bookings between 21st December- 15th January- Holiday. January 30th- Lincolnshire- Relational trauma, power of language, and behaviour as communication. February 1st- Three Steps Conference in Dublin. February 11th-12th- Relational & developmental trauma; & a therapeutic treasure box for working with trauma. Bristol LA. February 22nd-23rd- BAAT-Relational & developmental trauma; & a therapeutic treasure box for working with trauma (Open event). October 24th- Attachment and trauma in the classroom- Hertfordshire conference. November 13th-Supporting adolescents- event in Cambridge. November 19th-24th- A week in North Somerset Local Authority on relational and developmental trauma/ trauma-informed care/ self-care/ creative and expressive strategies. November 26th- Keynote- Staf National Conference- Trauma & Resilience- Glasgow. December 3rd-4th- Islington Children’s Services- Relational & Developmental trauma- theory & practice. December 6th- Robust and thorough assessments for court- Hounslow. December 11th-12th- Bristol-Relational & Developmental trauma- theory & practice. September 20th- Pause conference- workshop and keynote. October 1st- Training on self-care and emotional wellbeing for Beech Lodge School. October 17th- Dr Treisman is a keynote presenting at the Parenting Northern Ireland conference on relational & developmental trauma. October 18th- Keynote- Cavan Mental Health Conference. July 6th- Triborough virtual school conference- keynote on resilience, and a workshop on emotional regulation. March 19th- Unaccompanied asylum-seeking young people for post 16 and leaving care services- Triborough. March 20th-22nd- Northern Ireland- Nurse conference and CAMHS event. March 25th- April 13th- Away on holiday- no bookings. November 12th- Private event- Reflecting on parenting in the context of mental health difficulties. November 13th- Private event-Reflecting on parenting in the context of domestic violence. July 24th- August 10th (Varying days)- Training at the summer institute for frontline social work programme on topics around relational and developmental trauma, child development, and parenting in the context of mental health/ domestic violence/ substance use/ learning disabilities/ trauma. September 7th- Training for foster carers on fostering unaccompanied asylum-seeking young people for the North London Consortium. September 20th- GrandparentsPlus event on strengths-based, hope, and resilience approaches in Middlesborough. 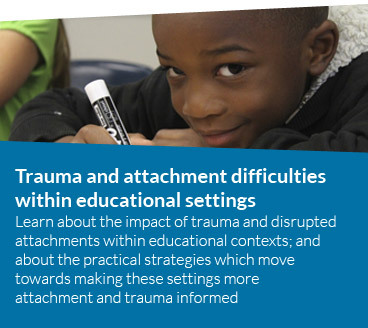 September 22nd- Trauma and attachment in the classroom for a London-based school. October 9th- PAC-UK- The impact of relational and Developmental Trauma on children’s bodies, brains, emotions, behaviours, and emotions. For adoptive parents and adoption professionals. October 21st- British Association of Art Therapists- Derby- The impact of relational and Developmental Trauma on children’s bodies, brains, emotions, behaviours, and emotions. Theory and practical strategies. November 3rd- Private event- supporting unaccompanied asylum-seeking young people. July 4th- Twilight session for a London-based school on trauma-informed schools. July 11th- The impact of trauma on children in care for nurses. April 27th- Grandparents Plus masterclass for kinship carers- York- The impact of relational and Developmental Trauma on children’s bodies, brains, emotions, behaviours, and emotions. May 3rd-4th- Training for frontline. May 11th- London local authority- Sensory and body-based interventions for children who have experienced relational and developmental trauma. May 15th- British Psychological Society- The experiences and psychological needs of unaccompanied asylum-seeking, trafficked, and refugee young people. May 16th- Professional Tree of Life workshop/ team away day for residential workers. May 18th-Grandparents Plus masterclass for kinship carers- Leeds- The impact of relational and Developmental Trauma on children’s bodies, brains, emotions, behaviours, and emotions. May 29th- June 4th- A whole week long training programme for three steps residential services in Navon, Ireland. This includes sessions on relational and developmental trauma, the impact of working with trauma, the impact of trauma on the organisation, and creative strategies of working with trauma. June 6th-7th- Training for front line. June 8th- Pause- London- Disenfranchised grief and loss in birth mothers who have had their children removed. June 15th- Pause- Location TBC-Disenfranchised grief and loss in birth mothers who have had their children removed. 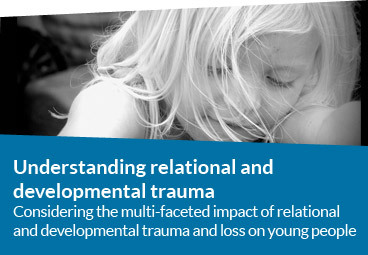 June 26th- Coventry local authority- The impact of relational and Developmental Trauma on children’s bodies, brains, emotions, behaviours, and emotions. June 29th-Grandparents Plus masterclass for kinship carers- Liverpool- The impact of relational and Developmental Trauma on children’s bodies, brains, emotions, behaviours, and emotions. February 15th-17th- Training for Three Steps in Ireland- the impact of trauma on organisations, creating trauma-informed environments, caring for the team around the worker. February 21st-The impact of relational and Developmental Trauma on children’s bodies, brains, emotions, behaviours, and emotions/ Direct working tools- Art Rooms Project Oxford. March 14th- Brighton and Hove conference- Relationship-based Practice- Key note on “The impact of relational and Developmental Trauma on children’s bodies, brains, emotions, behaviours, and emotions”; and afternoon workshop on “Strengths-based, hope, and resiliency practice”. March 16th- Grandparents Plus masterclass for kinship carers- Bedford- The impact of relational and Developmental Trauma on children’s bodies, brains, emotions, behaviours, and emotions. April 9th- Self-care and stress management for social workers (2 local authorities). April 13th-14th- London Local Authority- Impact of parental mental health and unresolved trauma on children/ parenting. 30th- Online Children and Young People conference with Online Events- Session on unaccompanied asylum-seeking young people- a wider lens on trauma. February 7th- Fostering Network- Unaccompanied asylum-seeking young people within educational settings. September 29th 2016- Key Speaker and workshop facilitator at the Hertfordshire Foster carer conference- “Practical ways of supporting children to identify, label, and regulate a range of emotions”, and “Building, celebrating, and noticing children’s strengths- hope-based and resilience practice”. October 3rd-4th 2016 (Closed event)- Psychological needs and experiences of unaccompanied asylum-seeking, trafficked, and refugee young people. October 12th- Official release date of “Working with relational and developmental trauma in children and adolescents” by Dr Karen Treisman. October 17th- (Closed event)- The impact of relational and developmental trauma on children and adolescents. November 7th- (Closed event)- Therapeutic life story work. November 21st (Closed event)- Brain development and trauma. November 28th- (Closed event)- Attachment and trauma in the classroom- theory and practical ideas. International Foster Care Organisation (IFCO) Conference- Presented 2 workshops (Psychological needs and experiences of unaccompanied asylum-seeking, trafficked, and refugee young people) and (Building, celebrating, and noticing children’s strengths- hope-based and resilience practice). Grandparents Plus- Two masterclasses in Essex and then in Leicester- “Understanding your kinship child- the impact of relational and developmental trauma on children”, and “Building, celebrating, and noticing children’s strengths- hope-based and resilience practice”. Fostering Network- London-based masterclasses on “Attachment and trauma in the classroom”, “Unaccompanied asylum-seeking young people”, “Building strengths and resilience”, and “Finding ways go get to know your foster child”. Fostering Network Conference- “Building, celebrating, and noticing children’s strengths- hope-based and resilience practice”. Off the record, Compass, Croydon- Therapeutic interventions for working clinically with unaccompanied asylum-seeking, trafficked, and refugee young people”. PAC-UK- “Building, celebrating, and noticing children’s strengths- hope-based and resilience practice”.